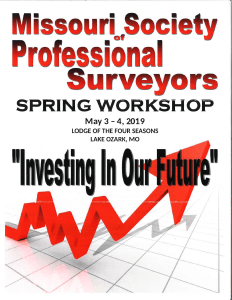 Seiler Geospatial will be exhibiting the latest technology hardware and software at the MSPS Spring Workshop this May in Lake Ozark, Missouri. Be sure to stop by our booths and find out the latest industry updates on all Trimble, Spectra, Autodesk and more.. This spring the theme is “Investing In Our Future.” Seiler will also have the latest “Get Kids into Survey Posters for education distribution. Stop by our booth to pick one up for your school or office.